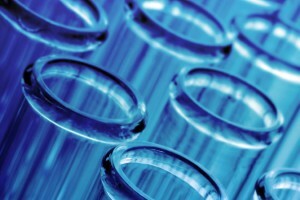 Substance abuse testing and prevention programs. This is our core expertise. At CCM, we believe the most effective substance abuse testing program is one that prevents drug and alcohol use in the workplace, at schools and in competitive sports. CCM is a Third Party Administrator (TPA) to over 400 client companies, specializing in everything from customized corporate testing programs to individual drug and alcohol testing services. CCM also provides testing programs to schools in order to maintain a drug free student population and keep steroids out of scholastic sports. Our random testing strategies are statistically proven to deter drug use of employees, students and everyone else by spreading awareness that drug and alcohol testing is being conducted. Our best practices include industry-specific experience, real-time reporting technology, and a partner network of five Metro St. Louis providers and 3,000 providers nationally. We maintain the highest level of confidentiality and regulatory compliance for all of our clients. CCM helps clients institute and maintain legally defensible substances of abuse testing programs. We stay up to date with state and federal regulations and any developments that could impact your company’s programs. Our account transition manager brings a disciplined approach to account transition, making the start-up or switching phase of your company’s substance abuse testing program fast and error free. A complete testing program requires the services of several outside vendors (collection sites, couriers, laboratories, medical review officers). CCM streamlines this process by including all pricing information in clients’ contracts and coordinates all necessary services.